1. Sugar, cocoa, flour, coffee mix and gradually, stirring, pour in the milk. 2. Then put on the fire, heat, add the butter. 3. Bring to a boil, still interfere. 4. Cook for 3-5 minutes. 5. The weight can add vanilla and nuts. 6. 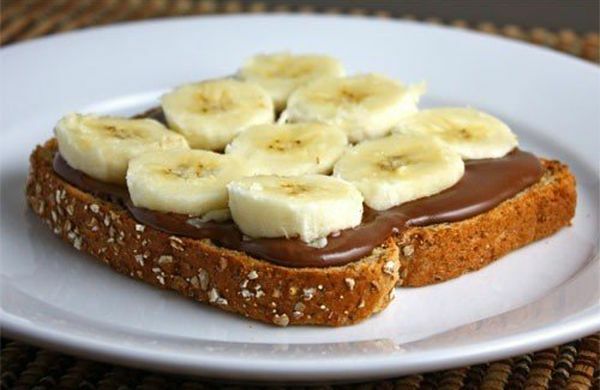 On top of the toast slices add a banana.